Standing next to a massive cylindrical rail car at the Anchorage Railroad Yard, Alaska Railroad Mechanical Supervisor Josh Cappel asked a fireman to test out the car’s hand-operated braking system. “Go ahead and fire that thing up tight. Come on, a little tighter than that — there you go!” Cappel joked, drawing laughs from the crowd of about 16 other members of the Anchorage Fire Department. As with any new venture, safety is always a topic of discussion. Cappel said he’s training the Anchorage Fire Department in case the worst happens. 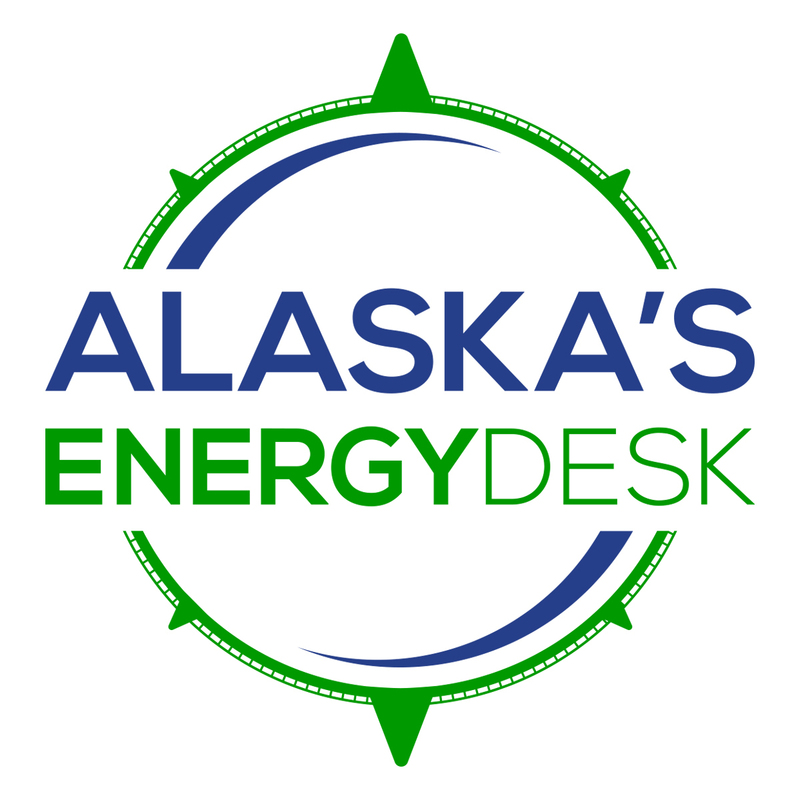 Over the next four weeks, the Alaska Railroad will complete eight round-trip test runs of liquefied natural gas shipments from Anchorage to Fairbanks. 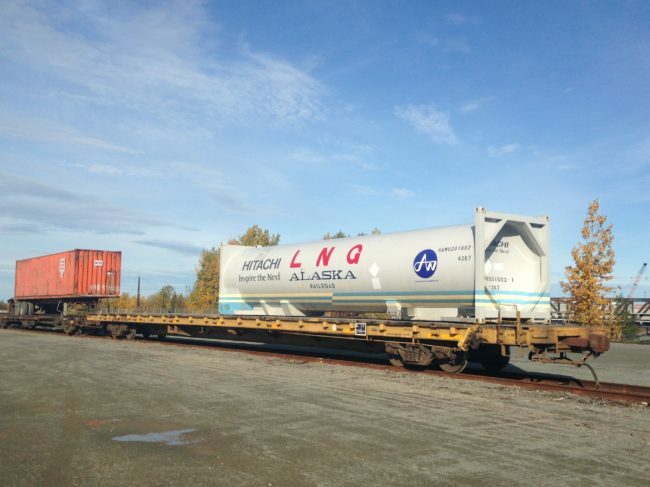 It’s a big first, for Alaska and the U.S. — LNG has never been shipped by rail before. Fairbanks Natural Gas hopes this will be a cheaper, safer way to move the fuel. Recent oil train explosions in the lower 48 have some people worried about moving train cars filled with fossil fuels through communities. Lois Epstein, an engineer who works for The Wilderness Society, says shipping LNG by rail is generally safer than carrying it in a truck, which is how the LNG is being shipped to Fairbanks now. “Where I would be concerned, however, is places where the railroad crosses the road because that’s where there are some very real safety issues,” said Epstein. Collisions with cars crossing the tracks is a concern, but Captain Jared Stiglich with the Anchorage Fire Department says big, fiery explosions aren’t something to worry about with LNG train cars. It’s the extreme cold that’s the problem. “The biggest concern with LNG is that it’s transported at minus 260 degrees Fahrenheit, so it would freeze-burn anything or anyone.” said Stiglich. The Alaska Railroad reports most of the LNG’s journey won’t be too close to communities and roadways. But just in case, they’re making sure emergency responders up and down the Railbelt are prepared to handle a new kind of cargo on the tracks.